Its time to take a step back to a little walk I did back in June. I’d just finished my first year, but my flatmates were still in the midst of their exams so I took myself off on a walk along the River Conwy. You know…to get out of their hair. 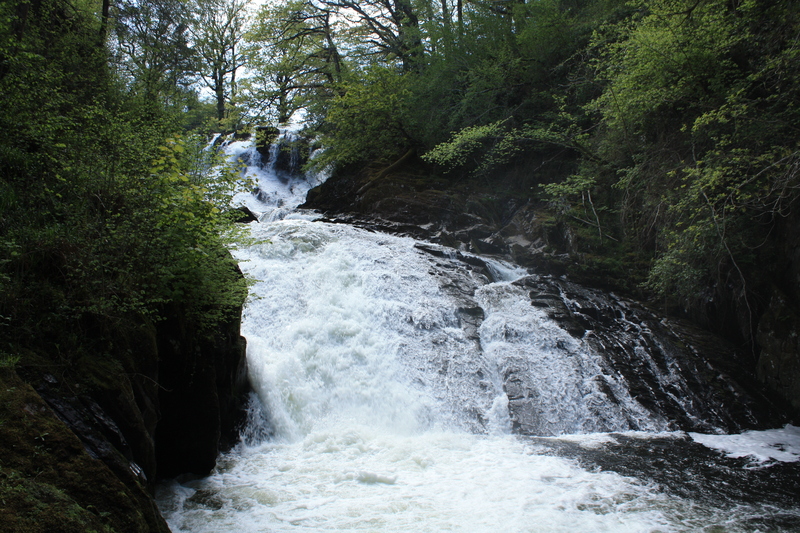 I began my walk at the Conwy Falls, just south of Betws-y-Coed. To reach the falls you had to pay £1 to cross a turnstile, though parking itself there was free. Once past the turnstile it was short walk along one of the many different paths to the actual falls. The Conwy Falls were smaller than I’d expected, but no less interesting, as it is a waterfall split in two; with two dividing torrents cascading down either side of the rock-face. The area is used a lot for whitewater rafting and caving, but walk wise it only takes an hour to explore everything, so it was good that I had other destinations in mind. 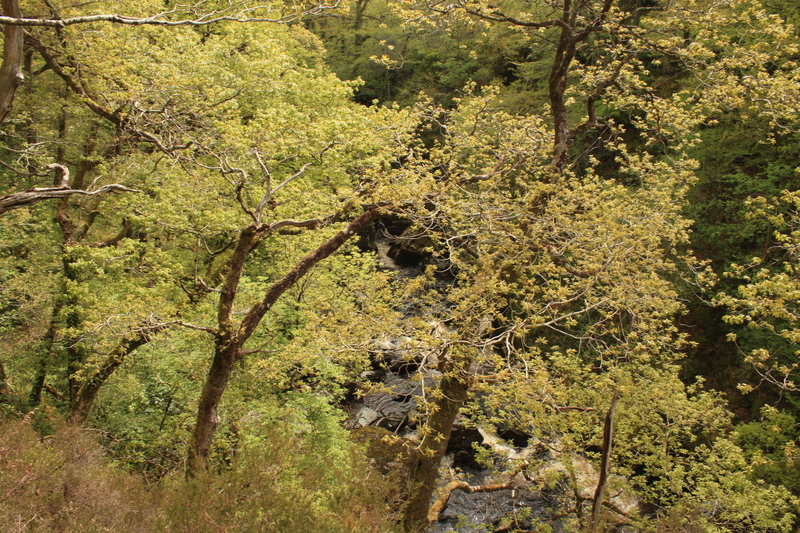 Leaving the Conwy Falls, I walked along the A5 road for little bit before diving down a path that followed the length of the River Conwy. 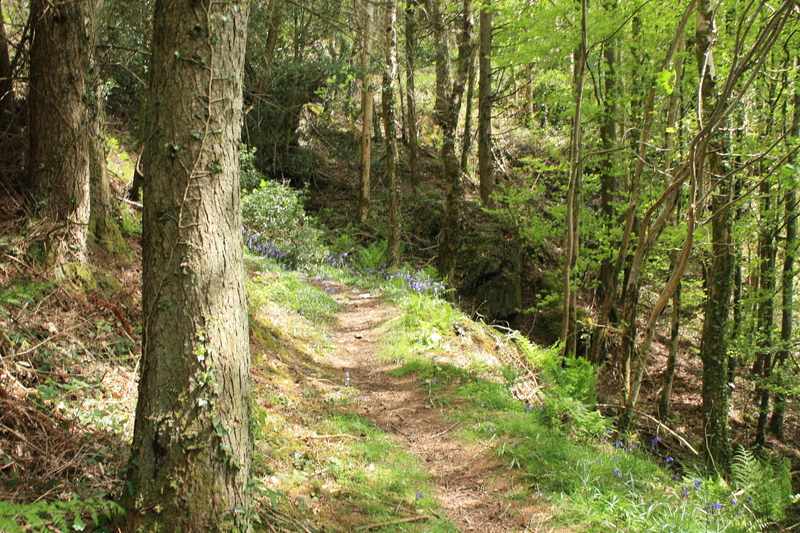 This path took me directly to my next point of interest, the Fairy Glen. 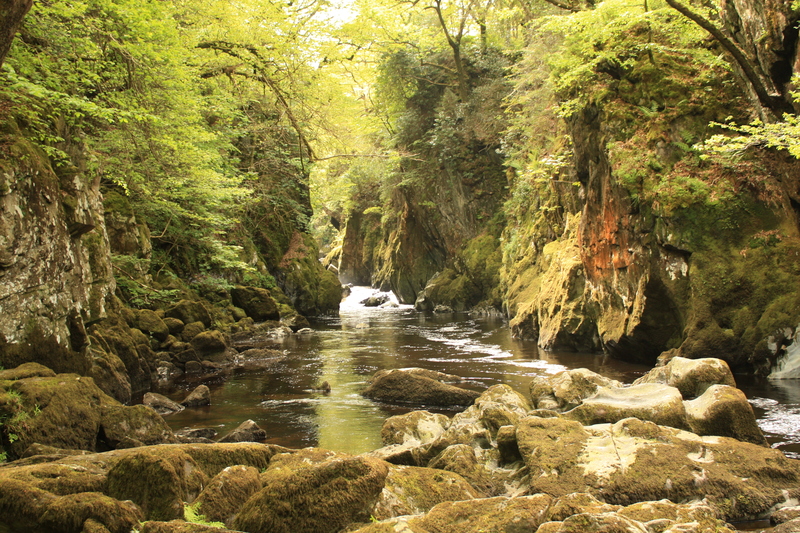 It was another 50p to enter the Fairy Glen, but it was worth it as the Fairy Glen Gorge is truly a beautiful place. 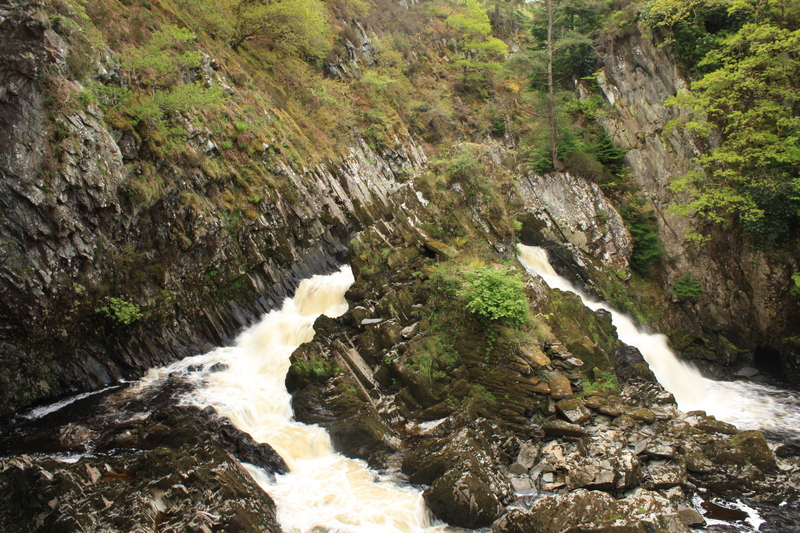 The glen itself is where the River Conwy and the River Lledr meet, but the highlight is the gorge through which the entire River Conwy is forced through, turning it into a bubbling, turbulent stream. The whole place feels like it has jumped off the pages of a Grim’s Brother fairytale. 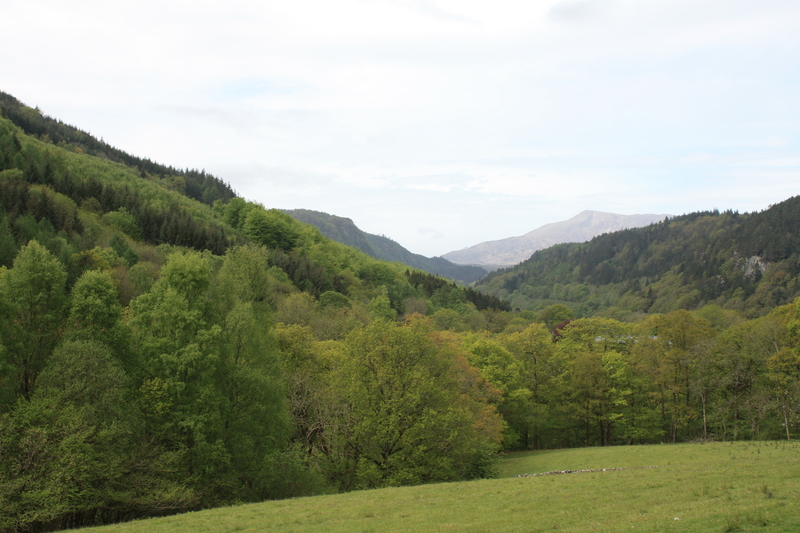 Leaving the Glen, I headed back across the A5 road and walked upwards, further into the Glyder Forest. It was certainly a bit of a slog up and this was the hardest part of the walk. 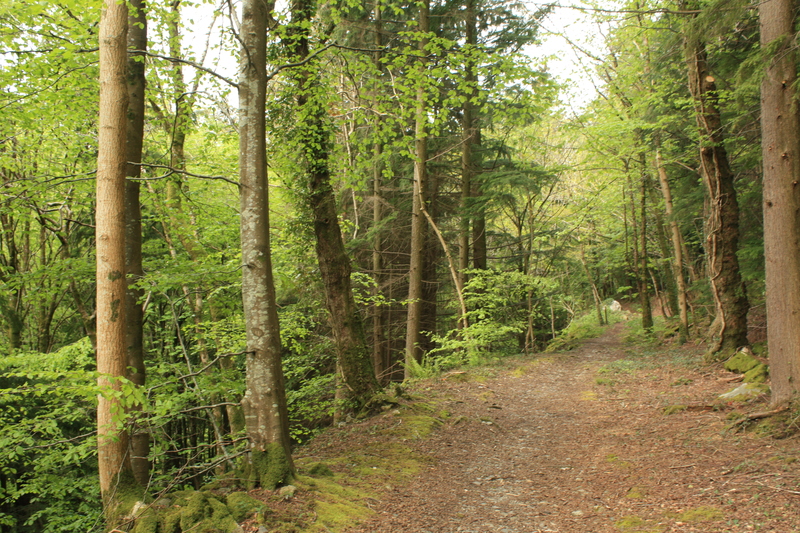 Fortunately the woods were very pretty, with wide array of blooming flowers and I was soon on more leveled ground and with a good view of Snowdonia. 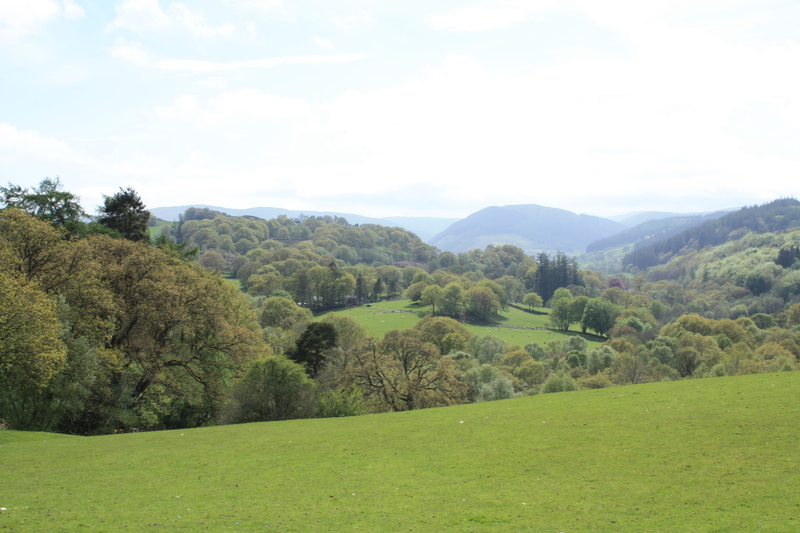 I walked in and out the tiny village of Capel Garmon and went south along the main road. 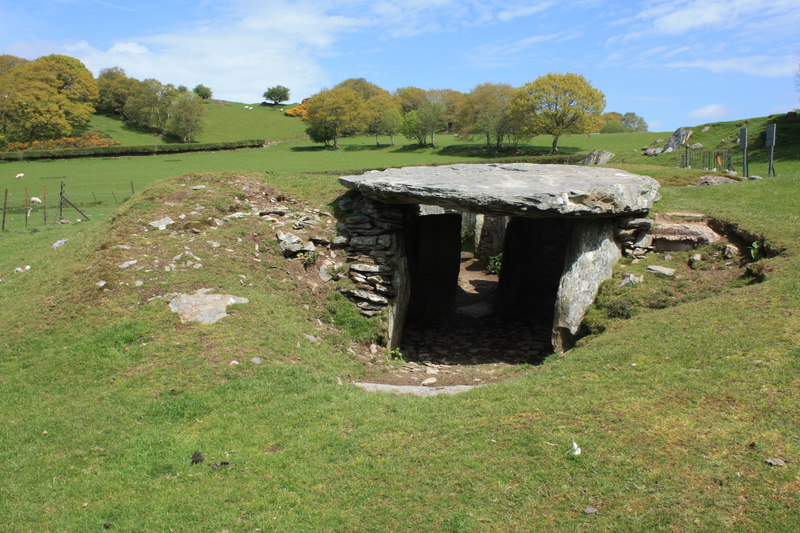 Taking the second path on my right, I followed the signs to an ancient monument, which was a Neolithic burial chamber, situated with superb views over the national park. After passing through a couple of farmyards I finally reached the chamber and settled down for some much needed lunch. 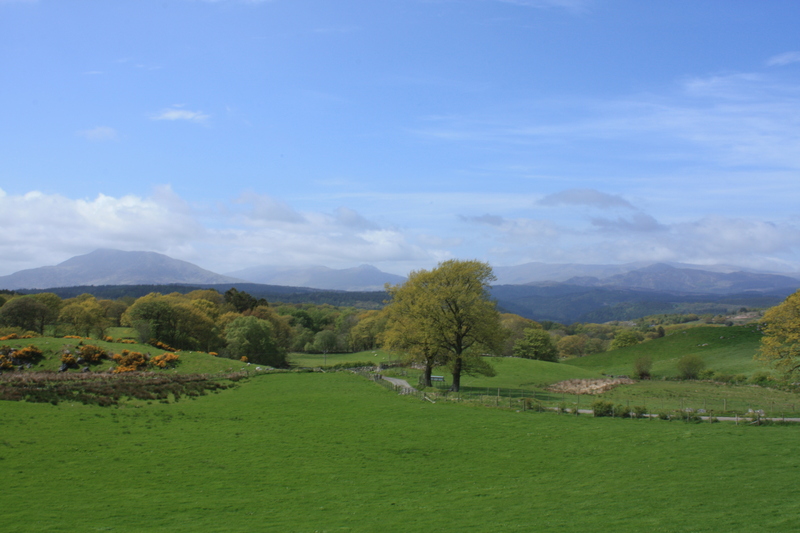 After that it was more walking south, crossing through farmlands and another final farmyard, from which I joined a road that led me all the way back to the Conwy Falls and my little car. But my day wasn’t over just yet. 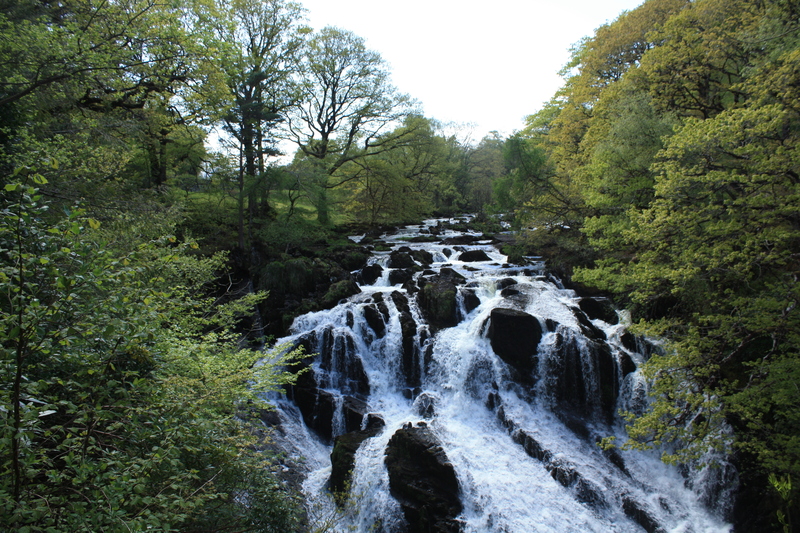 I drove back past Betws-y-Coed to the impressive Swallow Falls for a bit of photo-taking. 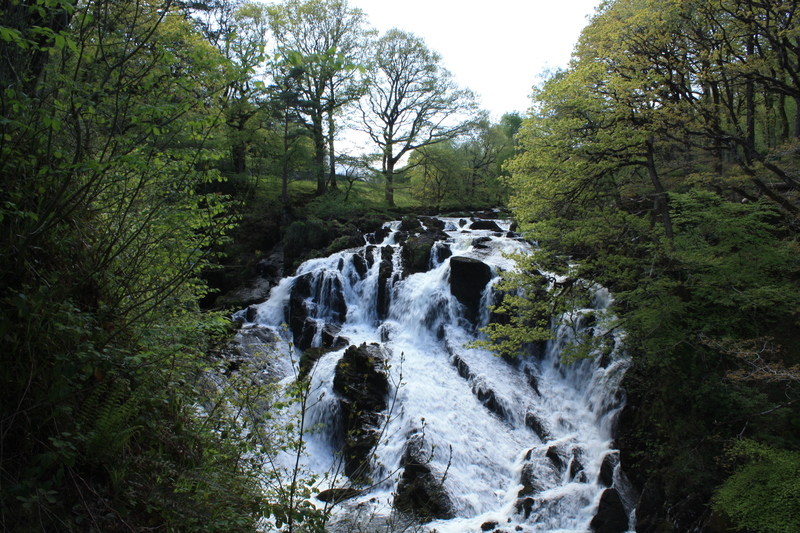 Although the price of admission was a bit steep (£2.50) I can’t deny that the Swallow Falls weren’t a sight to behold and a good way to end my day. What a lovely way to spend the day and cheap at half the price for sure! I havent been to any of these places – but your story and pictures are simply stunning. 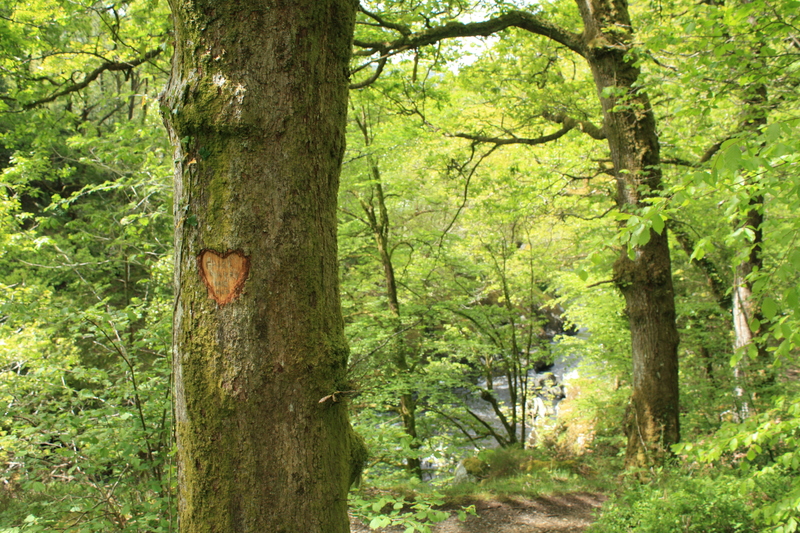 The Swallow Falls are a beauty, but the Fairy Glen took my heart. Thank you for posting.